One of my favorite people on Instagram is Erin of @cottonstem. Her feed is absolutely stunning and she has the most adorable family including four darling little girls! Erin is also the host of one of my favorite hashtags, #CottonStemHeartsExteriors. You would not believe the gorgeous exterior photos of homes featured here. Start using this hashtag when you post exterior shots of your home. 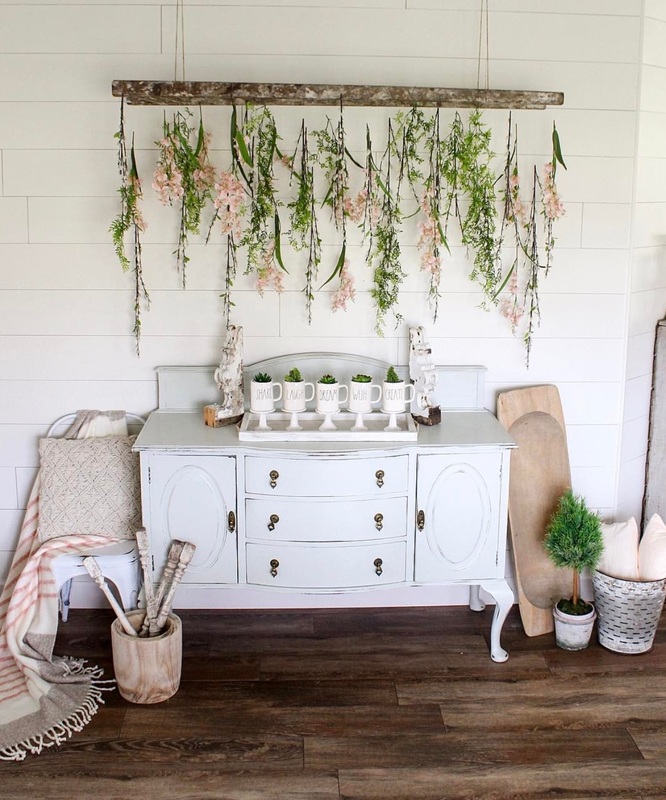 One of my favorite posts by Erin is when she “spring-i-fied” her entryway. She has a ladder hanging from the ceiling and faux florals from Michael’s hanging down from it. Oh my goodness. Amazing!!!! I also love Erin’s IG Stories. You will find her in her house (showing amazing antiques), hiding out in her shed (so she doesn’t have to cook dinner), and out and about. You will want to follow her and watch her very entertaining videos. You also will want to check out Erin’s blog. 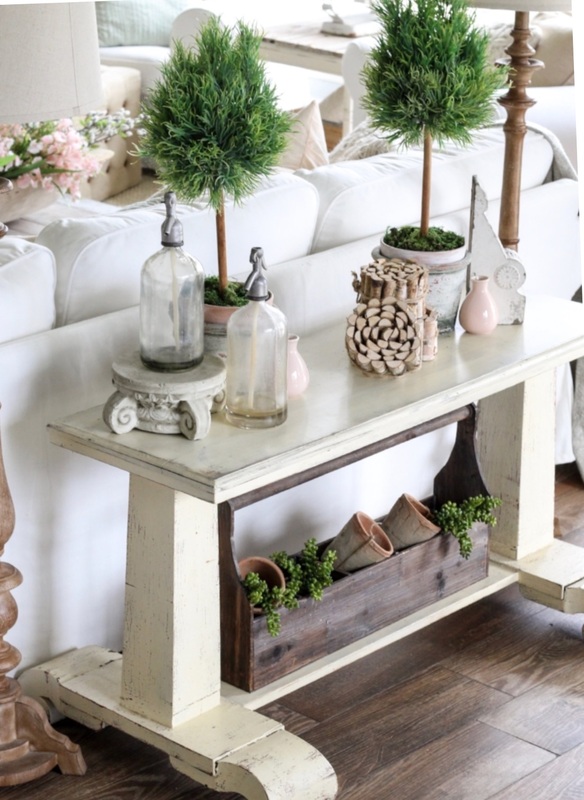 She has some great posts, including “(Faux) Florals for Spring” and “How to Pick Foolproof Farmhouse Paint Colors”. And if you want to learn more about Erin, be sure to click on the link to “20 Random Facts About Me” for one of the funniest blog posts I have ever read! And lucky for us, Erin was sweet enough to do a little Q&A with me here on the blog. Erin Kern: Initially, I planned to use this account as a way to showcase my design aesthetic for potential e-design clients, but since then, it has taken on a life of its own! Now IG is a place to meet friends, connect with others in the business, and grow my own all at the same time! Love me some IG. 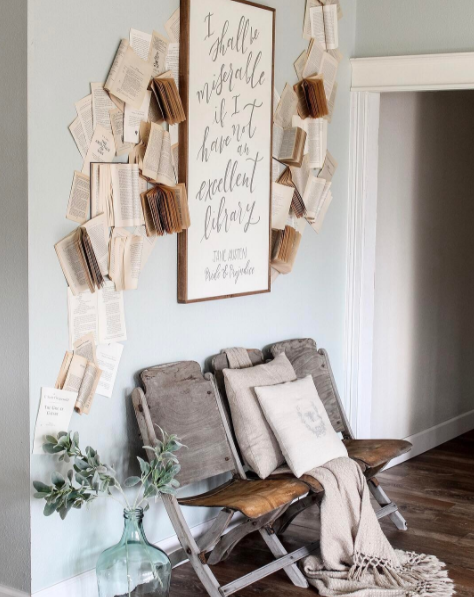 EK: My favorite project and creation I’ve shown (so far…) has to be the book wall. The meaning behind it, the flow of the installation representing the flow of my life as shaped by literature, and, duh…who doesn’t love a good Jane Austen quote. 😉 Besides my four little girls, this is my best DIY. 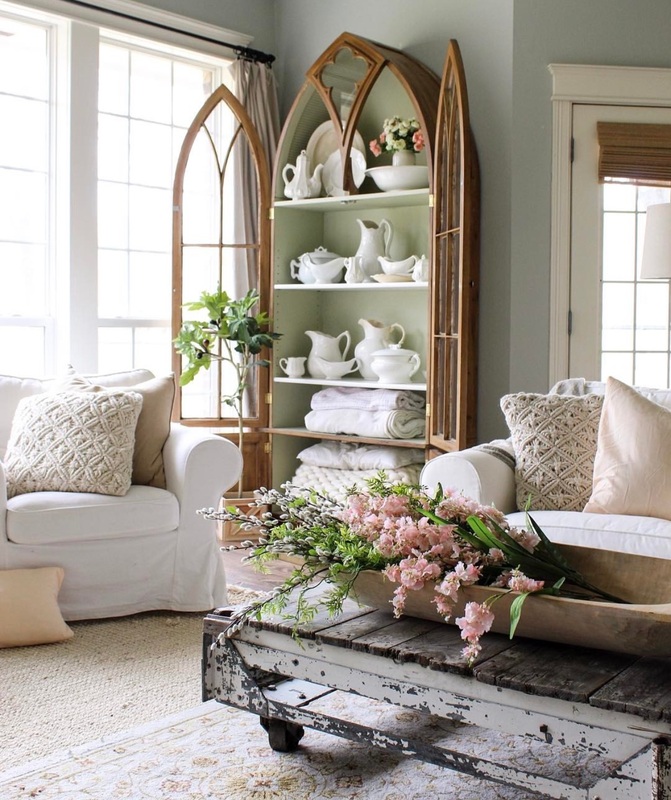 Make sure you’re following Erin on her Instagram @Cottonstem and check out her blog here! Love Erins post and thank you for sharing It was so nice learning more about Erin ???????? This was such a kind feature, and I was so excited to part of it–thank you, my friend! !